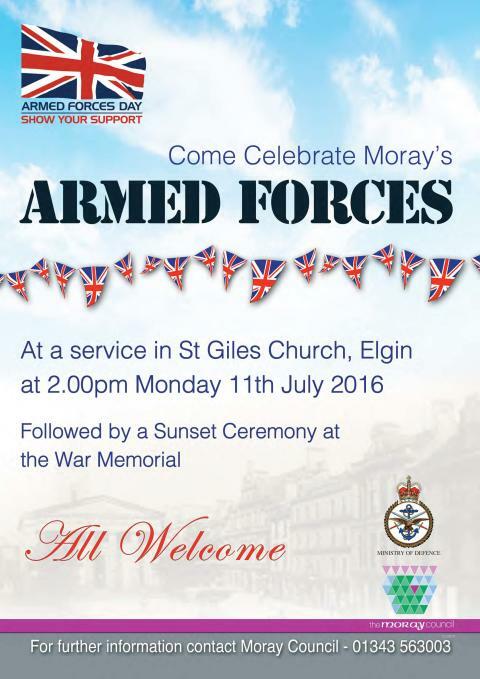 The public are being invited to attend a church service next week to honour Moray’s armed forces past and present. The event will take place at St Giles’ Church in Elgin town centre on Monday, July 11 at 2pm and will be followed immediately afterwards by a sunset ceremony at the nearby war memorial featuring a lone piper. The service will be taken by Rev Colin Stewart of St Sylvester’s RC Church in Elgin, RAF Lossiemouth station chaplain Rev Mark Perry and Rev Seoras Mackernzie, chaplain to 39 Engineer Regiment at Kinloss Barracks. 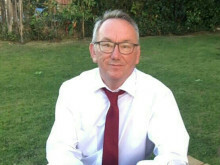 Representatives from both bases, including RAF Lossiemouth station commander Group Captain Paul Godfrey and Major Gerard McKay of 39 Engineer Regiment, will also be in attendance along with the Lord Lieutenant of Moray, Lt Col Grenville Johnston, and Moray Council convener Councillor Allan Wright. 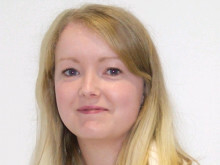 Moray has a long association with all three main branches of the military – the Army, RAF and Royal Navy – and veterans will be particularly welcome at Monday’s event. Further information is available by calling 01343 563003.